The weather is starting to warm up a bit, which means the car enthusiasts will soon be waking their shiny wheeled possessions up from their winter hibernation. As a result, there will be plenty of eager Corvette drivers itching to get back on the track and exercise the muscles in their right foot. 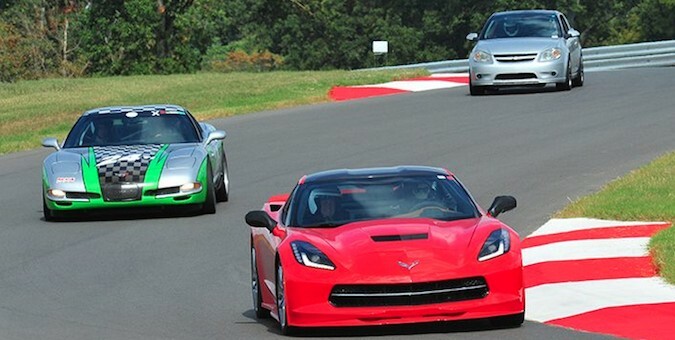 Luckily for them, the National Corvette Museum’s new Motorsports Park has lined up two open events for April. As Corvette Blogger reports, the first event will be a Michelin Track X track day on Saturday, April 4 from 10 a.m. to 4 p.m. The event has a “run what ya brung” theme, meaning you can show up in just about anything as long as you have a helmet, close toed shoes and long pants. Helmets will be available to rent for $25, while the cost to drive will be another $75. The second event will be the track’s first-ever High Performance Drivers Education program held on Thursday, April 23 and Friday, April 24. The majority of participants will receive both in-class and in-car instruction from an experienced driver on how to drive faster in a controlled and safe manner. There will also be VIP drivers on hand to demonstrate how a professional driver tackles a track in your own car. According to Corvette Blogger, tickets for the lower level Green and Yellow groups are sold out, while a few sports remain for the Blue (advanced) and Black (elite) groups. The cost for the event will be $485, and registration will close on April 15. You can register for both the upcoming NCM events at www.motorsportsreg.com.